With Spectre set as the 24th installment in the 007 franchise, James Bond shows no signs of going away any time soon. Skyfall and Spectre director Sam Mendes, however, is done after this one. (Wait, isn’t that what he said last time?) But according to Mendes, making Bond movies is a lifestyle—a lifestyle he’s no longer willing to lead, unless, you know, he changes his mind again. But even though he’s sick of the whole thing, Mendes promises Spectre—which filmed in London, Mexico, Italy, and Morocco—is going to be even bigger than Skyfall. “And you really do feel it,” he says. “This is a bigger movie than Skyfall. 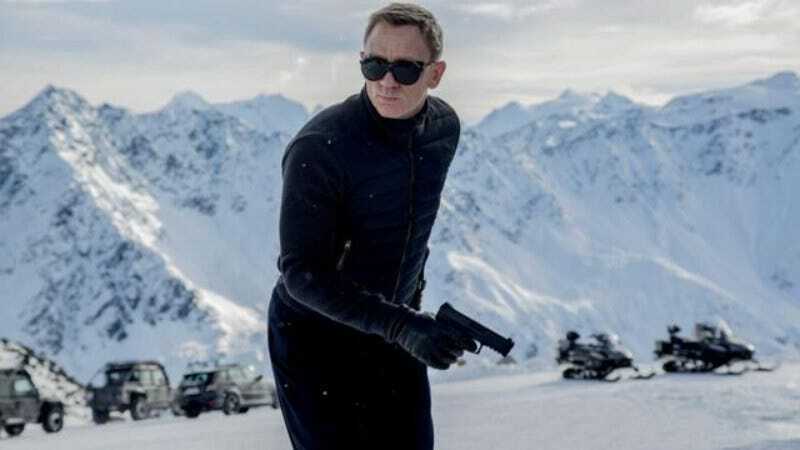 It’s been an enormous undertaking.” For Spectre, Mendes brought in Dutch director of photography Hoyte Van Hoytema (who did the cinematography for Her and Interstellar) to try to top the superb visuals of Skyfall. And Spectre has already made itself distinct from previous Bond films, first by putting Daniel Craig in a cozy tactleneck instead of a sharp but implausible suit, and then by actually acknowledging the film that came before it in the movie’s first official teaser. Since when does a Bond movie hold on to history? Spectre, which also stars Stephanie Sigman, Christoph Waltz, Léa Seydoux, and Monica Bellucci, will be released in IMAX globally on November 6. But because he’s one of their own, the U.K. will get their Bond fix early, with the movie opening across the U.K. on October 26, the same night as the London premiere. Mendes will presumably walk out of that London premiere with a sigh of relief, free at last of James Bond and his stupid turtlenecks. “I’m out,” he’ll say to all his doubting friends. “No really, guys! I swear!” We’ll believe it when we see it.